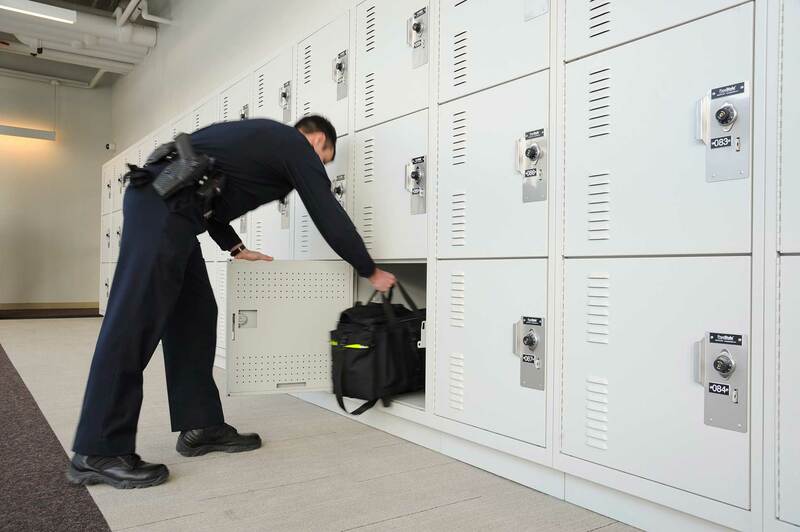 Police officers and military personnel have extremely demanding jobs—make those jobs easier with lockers. 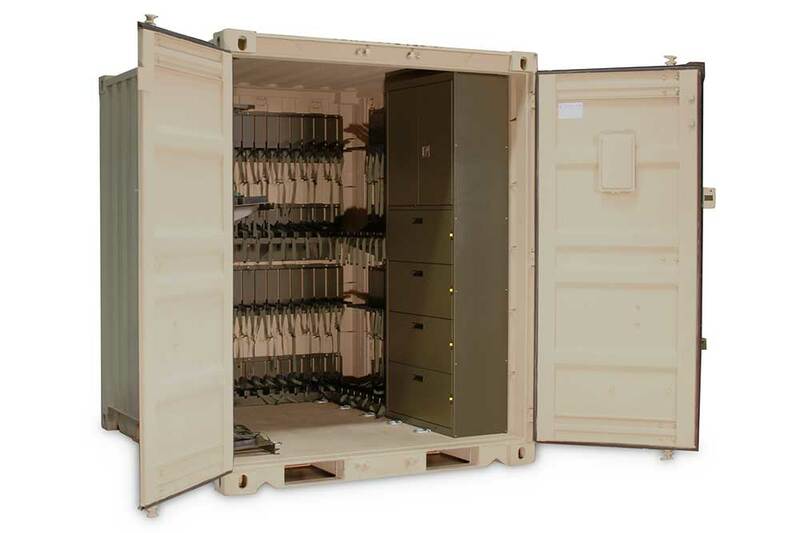 Designed with input from parariggers around the world, this stackable container is constructed with heavy-duty 12 ga. diamond-perforated steel panels and an 11 ga. steel frame. 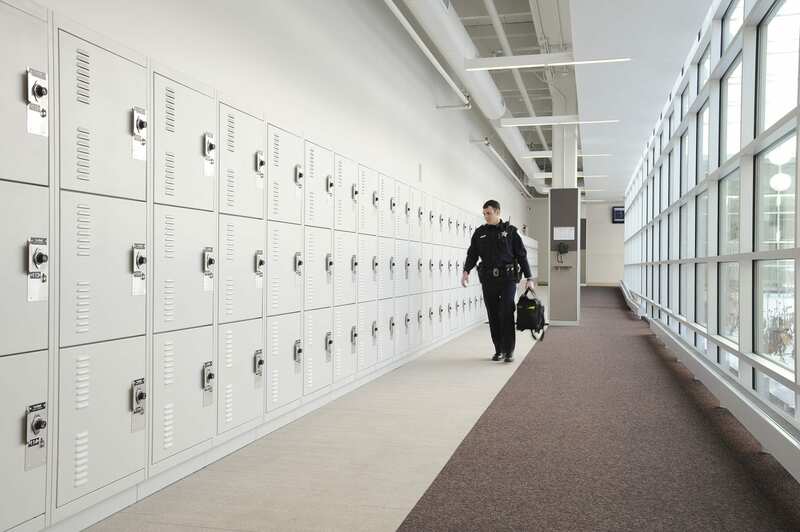 A structurally welded base provides for forklift access and fork truck access on all sides, and heavy-duty top panels lift and pivot out of the way for full clearance to the interior. 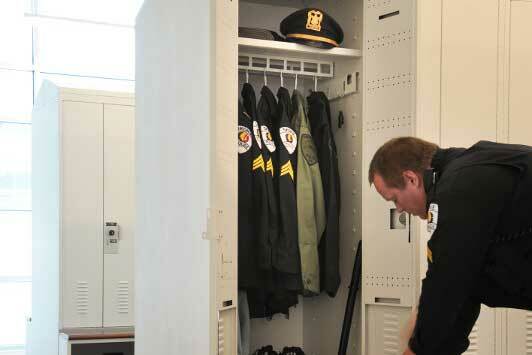 Can also be used in conjunction with ActivRAC®, Spacesaver’s heavy-duty mobile storage system. 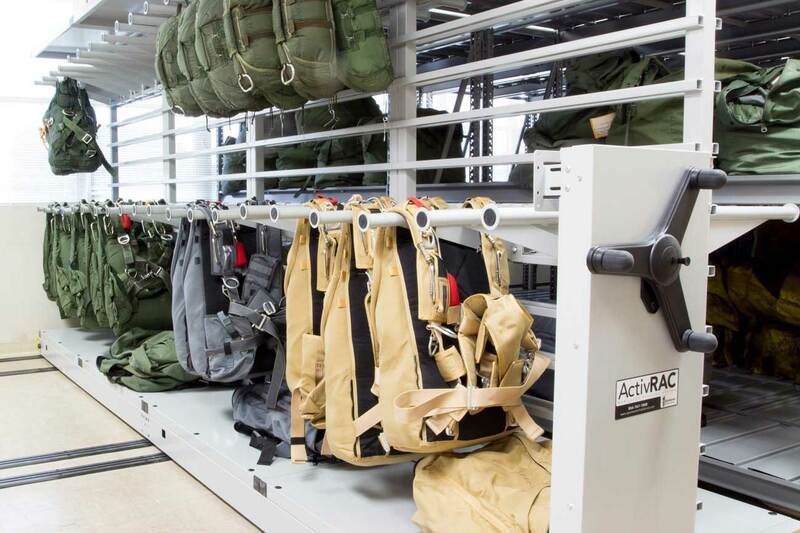 This heavy-duty racking system for parachute provides compact, breathable storage without taking up valuable storage space. 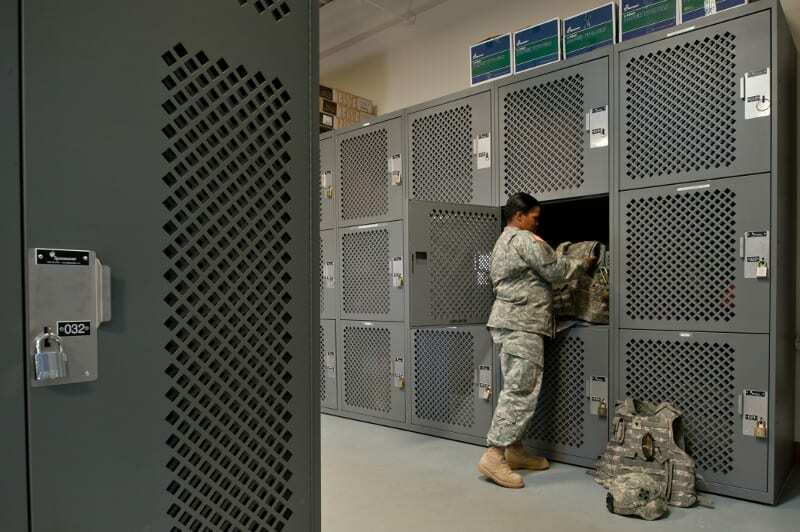 Rugged, all-steel racks can be customized based on parachute size and variety, and like the USC, can also be used in conjunction with mobile storage systems. 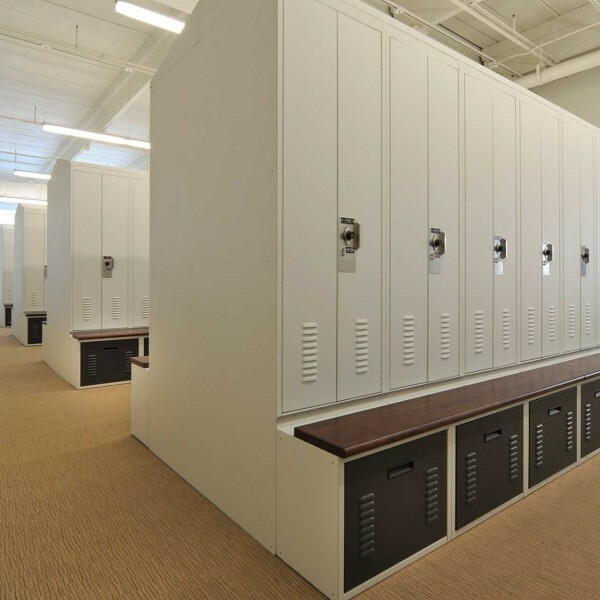 Looking to transform your athletes’ space?